Tchaikovsky’s one-act Iolanta seems to have gained in popularity recently. London, at any rate, has two different productions this year: this, at the Royal Academy of Music, and at Holland Park this summer. As ever, the question with a one-act opera is what, if anything, to pair it with. (That hardly applies with Salome or Elektra, though couplings have been known, but it will generally do so with shorter works.) Ravel’s L’Enfant et les sortilèges is a popular choice, and rightly so, from the one-act stable. Without much – although not without any – in the way of overt connection being made, the two operas complemented each other nicely, both proving excellent showcases for their young singers, both proving substantially more than that too. Oliver Platt, one of our most accomplished young directors – last year, I saw two(!) fine productions of Così fan tutte (here and here) – once again offers us stagings both intelligent and involving. Like their hero(ine)s, they take their own paths, yet where those paths intersect, the results are thoughtful and intriguing. Iolanta seems to me greatly misunderstood – or at least too often mostly understood in a way that limits rather than sets it free. The subtext seems obvious – a blind girl, kept safe by her father, eventually freed from her imprisonment by a stranger – and yet, too often ignored. Here, it certainly is not, a greenhouse, a place of hothouse care and incarceration, placed firmly on stage, its flourishing yet stifled plants both inspiring and warning, could Iolanta but see them. Likewise, the surgical gloves of her companions, weirdly static in aestheticised presentiment of Maeterlinck and Debussy’s Pelléas et Mélisande. But when, finally she can see, finally she can become – in the eyes of men, in the eyes of society more generally – a ‘woman’, Iolanta turns suddenly away from the sun’s blinding rays, from adulthood. It is too late: orchestra and chorus have rejoiced, she gives out a cry of anguish, but no one cares – other, perhaps than us, in the audience. Now she is on her own, awakened, seeing; or rather, captive once again, this time without the alleged protection and solace of childhood. These are not in any way easy operas for students, however accomplished, to perform. The young musicians of the Royal Academy acquitted themselves very well indeed. Without repeating the cast list, I should like to mention a handful of singers who stood out for me. All, however, performed creditably, whether individually or as a company. Samantha Quillish’s Iolanta was heartfelt, moving, possessed both of heft and subtlety: everything, at least, anyone could reasonably have asked. Shengzhi Ren’s Vaudémont proved honest, ardent, again moving: just what the Tchaikovsky brothers wanted, allowing us, should we wish, to question their assumptions whilst affording them the dignity of being taken seriously. 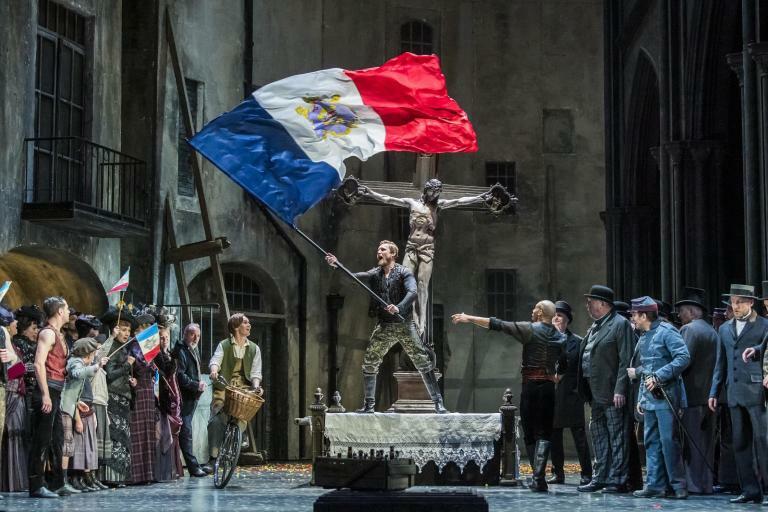 Thomas Bennett’s King René grew in strength and compassion as the evening progressed, whilst Sung Kyu Choi’s Robert offered quite a taste of what might have been, had characters’ choices been different. Olivia Warburton’s Child (L’Enfant) impressed in every possible way: her French, her demeanour, her elegance of line. This was a character, both ‘real’ and constructed, in whom one could believe, ably supported and abetted by a near faultless cast. It was perhaps inevitable that the orchestra, conducted by Gareth Hancock, would sometimes fall a little short. Orchestras twice its size will find these tough nuts to crack, let alone together. There was much to savour, though, and if I sometimes missed the flexibility of the finest Tchaikovsky performances, that was hardly the point here. Hancock supported his singers with skill and care, permitting them, like those flowers in the greenhouse and the garden, to bloom as they would. As to what happens next, we shall see – and hear. For more about what is on at the RAM click here.